From 5K to the more than 21 miles of the Warrior Challenge, the Patriot Running Festival has an event for everyone. Join us at America’s Start Line, Williamsburg, Virginia, and take part in a three day running adventure. 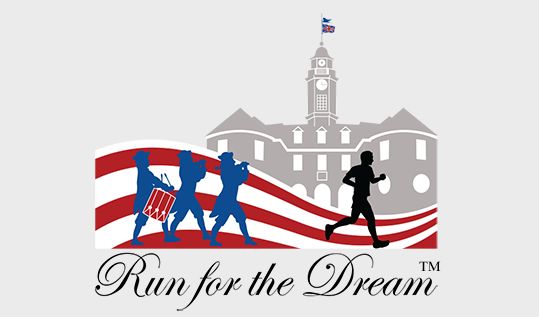 The Patriot Running Festival features the Run for the Dream Half Marathon on Sunday May 31st. The weekend also includes a 5K on Friday evening, May 29th, and an 8K and fun run event on Saturday, May 30th. Up for a Challenge? Runners may choose from one of two challenges on the weekend, the Patriot Challenge (8K Saturday/Half Marthon Sunday), or the all-new Warrior Challenge (5K Friday/8K Saturday/Half Marthon Sunday). All races will be proceeded by a Post Race Bash in the Sunken Garden at William and Mary. Beer/Food/Music will be on the menu. Don’t forget to take advantage of great rates at our Official Race Hotels. The Colonial Williamsburg hotels are conveniently located just seconds from the start line. Runners who stay in one of these hotels will also have their Colonial Williamsburg tickets extended for the length of their stay. The Patriot Running Festival proudly supports three great organizations: An Achievable Dream Academy, The Massey Challenge, and Paralyzed Veterans Racing. We invite and encourage you to create or join a fundraising team and support one of these great causes.